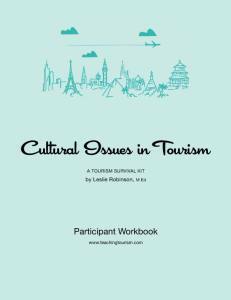 Full of challenging practical and philosophical aspects of tourism on culture and culture on tourism. Participants define culture, describe their own culture and cultural trends, explain culture shock, design strategies for cultural adaptation, accept and celebrate cultural differences through role plays, provocative games, and fun activities. The Participant Workbook is a perfect companion.